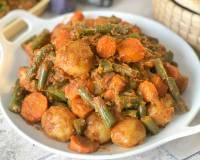 A simple stir fry Baingan Sarson Ka Saag Recipe is packed with taste and nutrition. 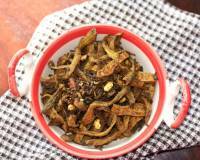 Succulent brinjal is stir fried in mustard oil and then tossed in basic indian spices and at last fresh peppery sarson leaves are added. 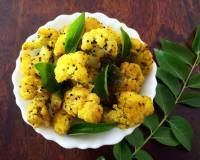 Serve along with phulka and dal. 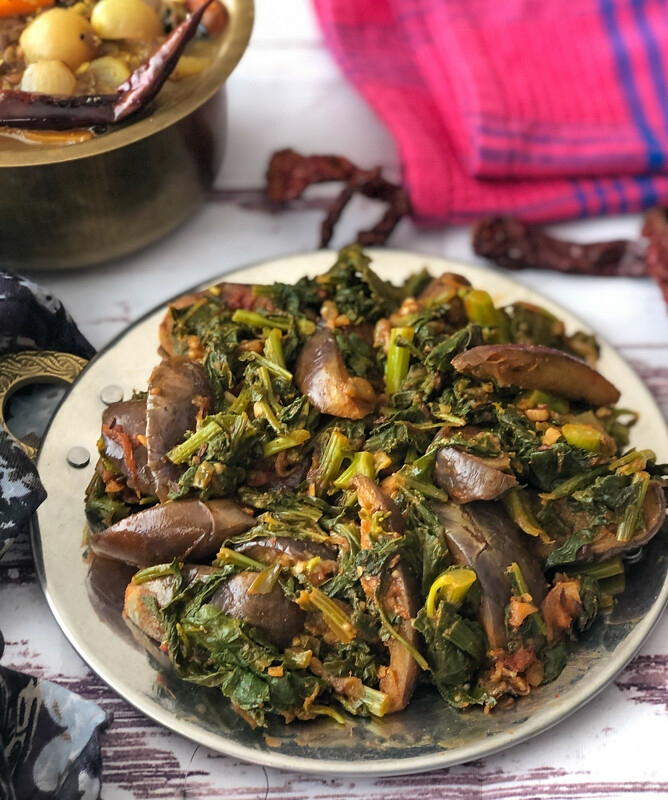 Baingan Sarson Ka Saag Recipe where small purple brinjal is cut into 4 and then first stir fried in mustard oil and then sauteed with Spice powders like turmeric powder, chilli powder, coriander powder, garam masala powder and amchur powder. The mustard leaves are then cooked separately and then tossed along with the roasted baingan making the Baingan Sarson Ka Saag dish absolutely wholesome and delicious. Did you know : Mustard greens have an extremely high level of antioxidants, in the form of vitamin A and vitamin C. Mustard leaves also contains a very good amount of dietary fiber that helps control cholesterol level. 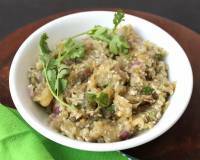 Serve Baingan Sarson Ka Saag with Phulka , Panchmel Dal and Lauki Raita for a lovely weekday lunch. To begin making Baingan Sarson Ka Saag Recipe first prep all the ingredients and keep aside. Quarter the brinjal and keep them in salted water till you use them. Keeping them in salted water prevents discolouration of the brinjal. Wash and chop the mustard greens ( sarson ka saag) roughly and keep them aside. Next heat oil in a deep pan or wok and once the oil has reached a smoking point reduce the heat to medium. Add cumin seeds and let them crackle. Then add onions, ginger and garlic and saute till the onions are cooked. Now add the drained and cut brinjal slices to the pan and saute. 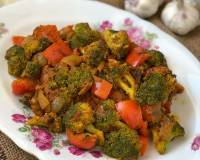 Sprinkle some water, cover and cook the brinjal till its cooked through and is well roasted. This will take about 4 to 5 minutes. Once the brinjal is well roasted, softened and cooked through, add all the dry spices to the pan, chilli powder, turmeric powder, coriander powder, garam masala powder, amchur powder, salt and saute for a minute till all the brinjal is well coated with the masalas. Finally add the chopped mustard leaves to the brinjals and cover and cook till the mustard greens are cooked through. This will take about 3 to 4 minutes as well. 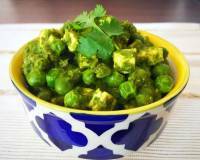 Check the salt and seasonings of the Baingan Sarson Ka Saag and adjust according to taste. Once done, turn off the heat and transfer the Baingan Sarson Ka Saag to a serving bowl and serve hot.